Alex Rodriguez will retire from baseball after this Friday’s game. 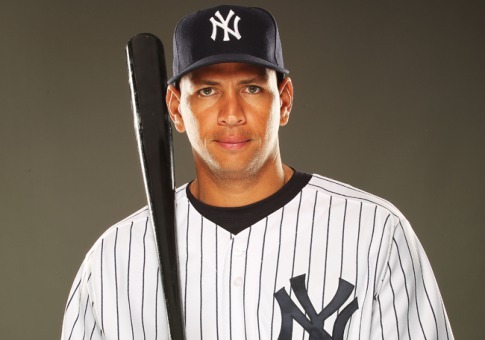 A-Rod earned a whopping $410 million in his 22-year career. Even after missing the entire 2014 season—serving a suspension for using performance-enhancing drugs—Rodriguez was able to hit an amazing 696 home runs in his career. He no doubt had his sights on hitting that magical 700 mark. Only Babe Ruth, Hank Aaron and Barry Bonds have ever slugged that many homers. However, it appears that A-Rod will fall tantalizingly short of 700. Some people think that there is a certain level of performance that we have to reach in order to get into heaven. However, no one seems to be sure of what that standard of excellence is. Those who think that you must earn your way into heaven have to deal with a great amount of uncertainty. Suppose you need to avoid sin 700 times in your life in order to be saved. How do you know that you haven’t committed 2 or 3 sins over the limit? Or suppose you have to do 700 good deeds in your lifetime in order to make it into heaven. How can you be sure that you have performed enough of these actions that have officially counted toward your total? That’s the catch. With a theology in which you have to work your way into heaven, you never can rest assured that you have fulfilled all the requirements. Isn’t it wonderful to know that God won’t judge us on our works? We are saved by the grace of God that he has shown us through his Son, Jesus Christ. Through our faith in Christ’s sacrificial death and his resurrection from the grave, we can be certain of our salvation! This entry was posted in Christian Living, Communion Meditations, Sports and tagged Alex Rodriguez, Ephesians 2:8-9, getting into heaven, grace, home run leaders, illustration, sacrificial death of Christ, salvation. Bookmark the permalink.